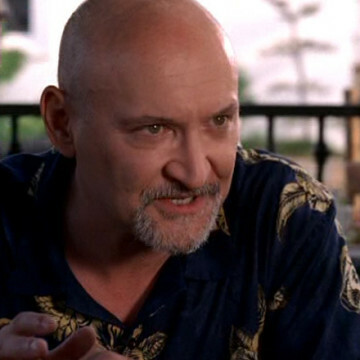 Frank Darabont, who directed and wrote the screenplays for 1994’s The Shawshank Redemption and 1999’s The Green Mile, offers two Entourage cameos during the show’s eight-season run. He first appears in S05E08 and pitches a television show to Vince alongside Josh Weinstein. He returns in season six as the director of Vince’s Enzo Ferrari film. After his big screen treatment of Stephen King’s work in the 90s, Darabont shifted his focus to comic books in 2010; he developed the television adaptation of Robert Kirkman’s Walking Dead series and wrote many of the show’s most well received episodes.